Squirrel Daddy's ejection port cover is permanently marked .22 NOS. for 22 Nosler and USA Flag on left. Our ejection port covers a permanently marked on both sides so it will display when the cover is open or closed. 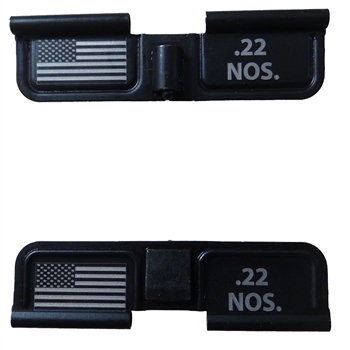 Ejection port cover is permanently marked.22 NOS. 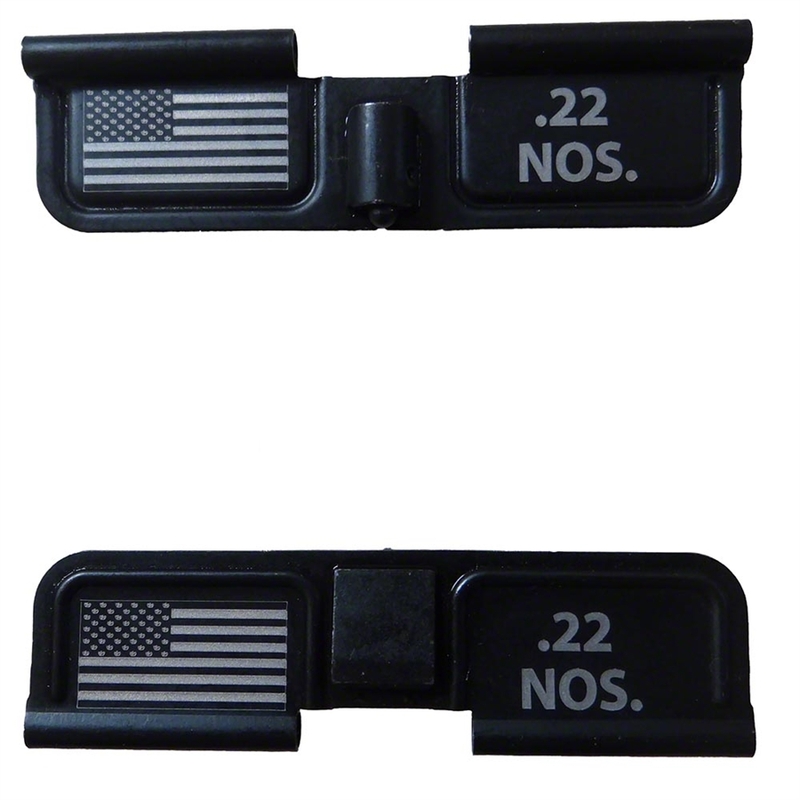 for 22 Nosler and USA Flag on left on both sides so it is visible in open or closed position.